Priv M17 comes with Priv M17 mod and Stick 17MM tank. This mod is ergonomically designed, slim but has unique design, giving you a comfortable hand-feel. 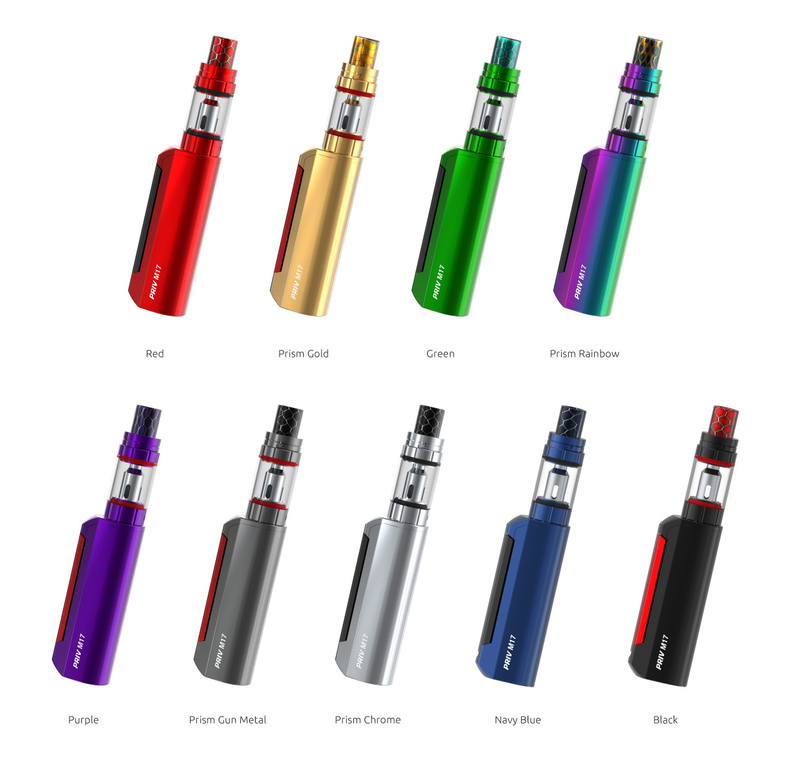 With a built-in 1200mAh battery, the mod can be very durable. Besides, it has a big lateral fire key, which can offer you more convenient operations. The Stick 17MM tank has 2ml capacity , and the included Stick M17 coil is the perfect match of Stick 17MM tank, both of which can help to produce incredible vaping power. Innovation keeps changing the vaping experience!